Smiling cats sitting on rolling pastures on long, summer days. This design by Jane Brookshw uses a fashionable, mottled and crackly effect. 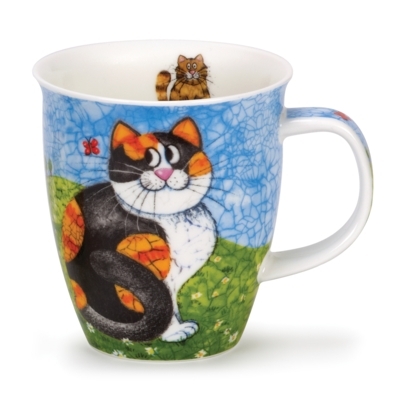 This mug has a tortoiseshell cat on the front and a brown tabby on the back.